Achtung! 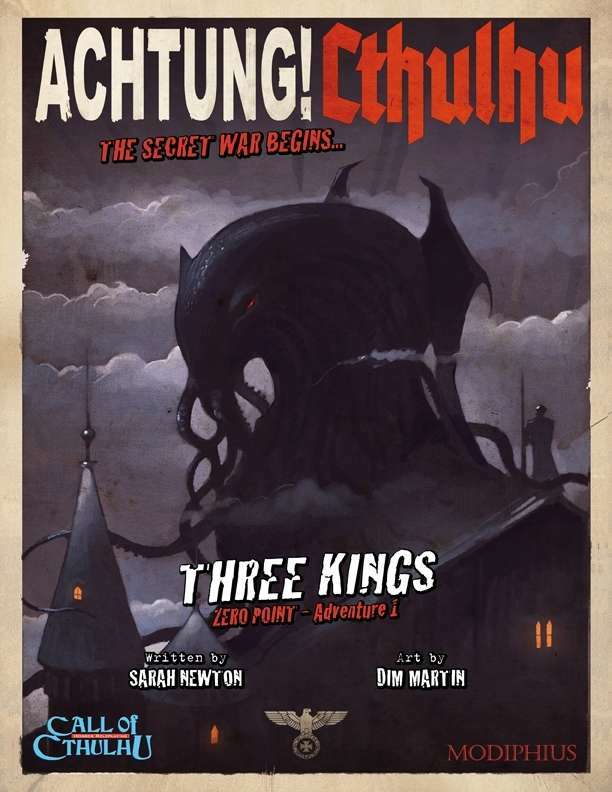 Cthulhu brings you a two-fisted wartime CALL OF CTHULHU roleplaying game setting packed full of fiendish Nazis, terrifying ancient mysteries, legendary war machines, and enough writhing tentacles to fill ten Reichstags! A standalone multi-episode adventure for hours of play! Four pregenerated characters to get you playing immediately! Imminent episodic Achtung! Cthulhu releases will set the stage for the campaigns and main setting arriving later this year. Written for the popular Call of Cthulhu roleplaying setting (Savage Worlds and Trail of Cthulhu versions to follow), Achtung! Cthulhu will thrust your characters in to the midst of a dark and desperate struggle, as Cthulhu's minions take advantage of the chaos wrought by the Third Reich to topple civilization! The massive world-spanning Achtung! Cthulhu setting features occult conspiracies, terrifying Nazi war machines, and an ancient evil so powerful that it threatens to tear the world apart! This title was added to our catalog on May 23, 2012.